Find Stylish and Low Cost Urbane Lab Coats Here! Urbane has been manufacturing lab coats for a long time and JustLabCoats.com has always been in support of their effort to make quality yet inexpensive lab coats. 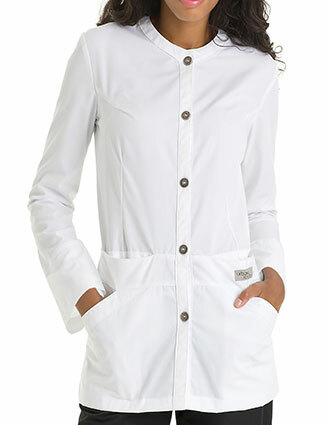 You can browse our collection of Urbane lab coats and check out what design, color, or style matches your preferences. These Urbane lab coats are all made from quality garments which are not only designed to be sturdy but also to be comfortable to wear. By letting the skin breathe, the fabric used on each Urbane lab coat you can see here, allows the wearer to be more comfortable on the job making them focus on the more important things. If you want to personalize your Urbane lab coat, you can take advantage of our inexpensive embroidery service. For more information, you can call us up toll-free or send us an email. Just sign up and we'll do the rest for you.